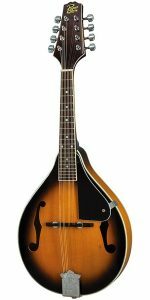 Looking For The Best Mandolin Under $1000? 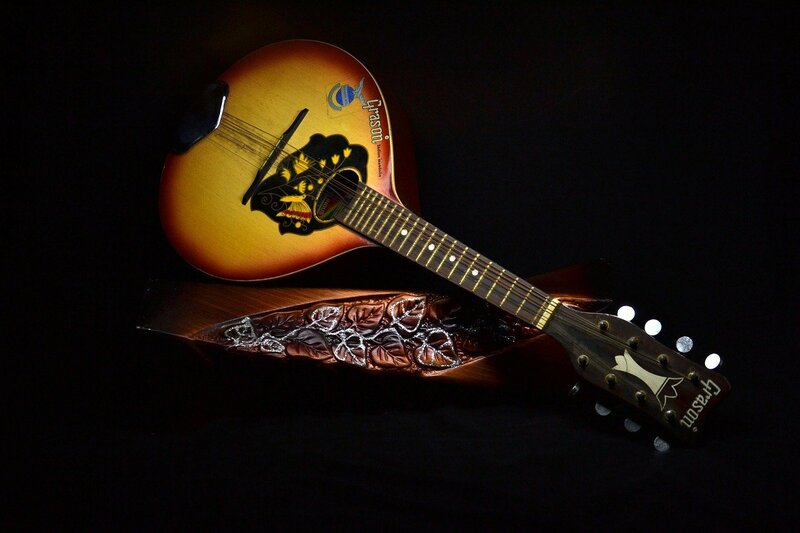 Here’s a look at our favorites, including our top pick the – Morgan Monroe RT-FM1. The modern mandolin most closely resembles the Neapolitan mandarin that was developed in Naples, Italy, in the 18th century. While the instrument lost its popularity in the 19th century, it enjoyed a resurgence in the 20th century thanks to classical and folk musicians. Today, the mandolin plays a strong role in American country, bluegrass, and folk music. Let’s take a look at the best mandolin under $1000. F Style – Orville Gibson (yep, that Gibson—the guitar legend) and his acoustic engineer Lloyd Loar made the first F-style mandolins in the early 20th The Gibson F-5 Mandolin produced in 1924 – 1925 is the most renowned and sought-after mandolin, and most modern F-style mandolins are based on the F-5’s iconic style. F-style mandolins usually have twin F-holes (like the Gibson F-5) or a single ovular sound hole, with body points on the bottom of the mandolin that influence the tone and offer a comfortable resting point on the musician’s thigh. Sometimes referred to as Florentine mandolins, this style is the predominant choice of most country, bluegrass, and roots-type musicians. A Style – this category is generally used to describe ovular and teardrop-shaped mandolins that don’t qualify as F-style or bowl-back mandolins. This style was also pioneered by Gibson, and tends to have carved tops and backs, in some cases with the back arched like a violin. Because A-style mandolins have less intricate detail, they’re easier to build and tend to be more affordable than F-style mandolins. The A-style is popular with folk, classical, and Celtic musicians. Bowl-back – sometimes referred to as a Neapolitan mandolin, this style is the closest in form to the original Italian mandolins and traditional lutes. The larger volume body and bowl-back form produces a rounder, deeper tone than A-style and F-style mandolins. They tend to be popular with historical music styles such as renaissance, baroque, and classical. Wood – spruce is by far the wood of choice for mandolin tops as it can transmit every nuance of the musician’s technique on the strings with a bright and articulate response. Unfortunately, solid spruce tops are usually quite expensive. Cedar and mahogany are often used instead, with both producing a slightly deeper tone. Mandolin fingerboards are typically made of ebony or rosewood (just like a guitar). Laminate vs. solid wood – while solid wood instruments produce the best sound and are preferable, they can be prohibitively expensive. Laminate mandolins will use a more cost-effective wood for the base and neck, with a nicer layer of treated wood on the outside for a better look. Laminate isn’t necessarily a bad thing—modern engineering and manufacturing techniques have produced a bunch of great mandolins that you’d never guess were laminate. Electric mandolin – like the guitar, the mandolin comes in acoustic, electric, and electric-acoustic models. Electric mandolins sacrifice some of the natural sound of an acoustic mandolin, so if you need electric hookup but won’t always be playing plugged in it’s a good idea to get an acoustic-electric mandolin rather than all-electric. The Rocky Top RT-FM1 F-Style mandolin is by far the snazziest-looking instrument on this list (at least, it is in my opinion). The instrument’s body and neck are made of basswood, a particularly popular choice with musicians. It’s built to satisfy all types of players regardless of experience, with an adjustable truss rod, extended rosewood finger board, adjustable rosewood bridge, and a fully bound top, neck and headstock. Even better, the RT-FM1 Rocky Top F-Style Mandolin is backed by Morgan Monroe’s 10-year warranty, so you know it’s an investment that’s meant to last. 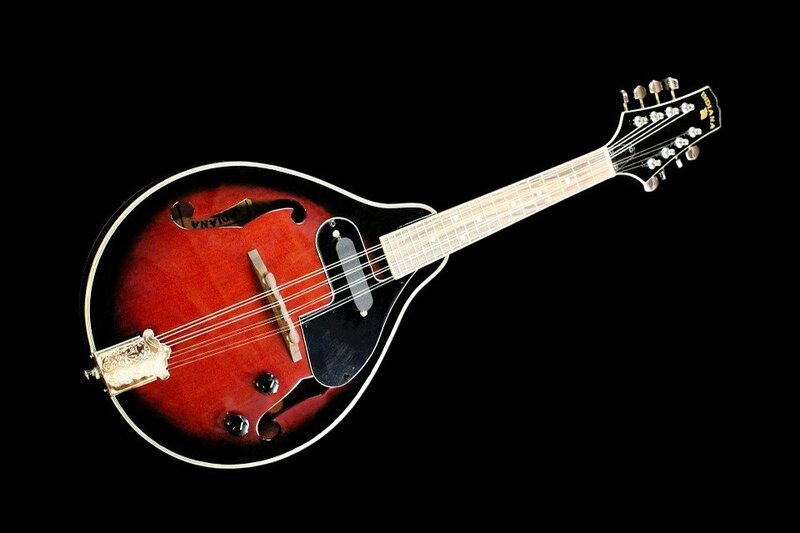 If you’re looking for an electric mandolin, this is the one for you. The ammoon is a special A-style electric mandolin with exquisite workmanship and excellent quality sound. The base is made of solid spruce and basswood, the neck of okumen, and the fingerboard and bridge is a nice dark rosewood. The body has two sound holes, 1 volume control knob, and 1 tone control knob. Includes a cable, 8 strings, and a cleaning cloth. The Savannah SA-100 A-Model Mandolin seeks to offer a great-sounding instrument for an affordable price, and it certainly succeeds in that. It has a beautiful sunburst finish with a hard maple neck, bound rosewood fingerboard, chrome tuning, and an adjustable compensated bridge. Given this mandolin’s expert craftsmanship and bright sound, it’s a heck of a value. 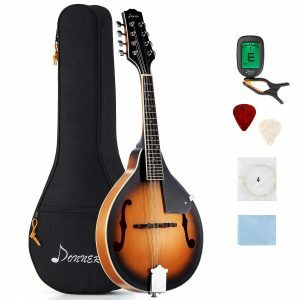 This Donner A Style Mandolin is a great package that gets you everything you need right out of the box—the mandolin, a soft-shell gig bag, a clip-on electric tuner, picks, extra strings, and a polishing cloth. The body and neck are made of mahogany, a wood that’s known for rich, bright sound and a smooth, accurate finish. 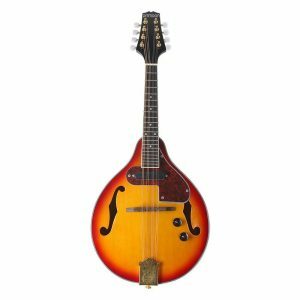 The A-Style mandolin has a beautiful glossy sunburst finish, an adjustable truss rod, and chrome open gear tuners. Like the other options on this list, it’s well suited for all styles of music. The Rogue RM-100A is the best value mandolin you’re going to find, so it’s an excellent pick if you’re on a budget. This A-style mandolin is well-built with clean workmanship, a bright tone, and a gorgeous finish. To round out the classy look, it boasts chrome tuners and nickel-plated frets. The online reviews report that the neck and adjustable bridge make it easy to play, so it’s a great choice for beginners. When choosing your mandolin, the first thing you’ll need to decide is what style you like best. Do you prefer the intricate detail and craftsmanship of a classic F-type, or would you prefer the more traditional, mainstream A-style? Be sure to consider the type of music you’ll be playing, and keep in mind that country, bluegrass, and roots-type musicians tend to prefer the F-style, while the A-style is popular with folk, classical, and Celtic musicians. Once you pick your style, you’ll want to consider if you need an electric hookup for performances, or if you’ll just be playing acoustic. Last but certainly not least is the look and feel. You shouldn’t judge a book by its cover, but you should definitely judge a guitar by the look. If you like how it looks and feel cool and comfortable playing it, chances are you’ll keep playing and improving.